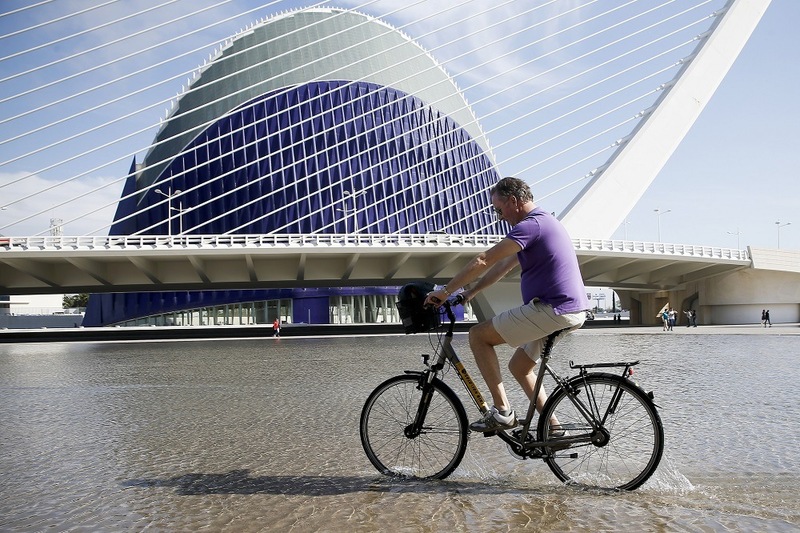 Valencia has nine signature works by the architect Santiago Calatrava, including the City of Arts and Sciences. This abundance is probably due to the fact that the architect was born in Benimámet, a small town next to Valencia, and that he began his professional career in the eighties, years of economic prosperity in the newly democratic Spain. 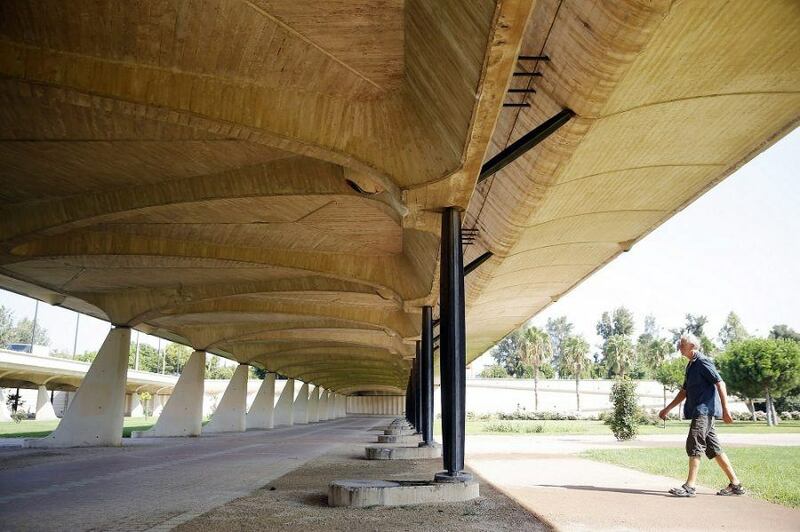 Calatrava was 35 years old when in 1986 he built his first work in Valencia: a discrete bridge in which we find some formal proposals that he later developed into the characteristic elements of his style. Later, in the nineties, Calatrava received an important assignment: the City of Arts and Sciences. It was no longer a single structure, but a huge cultural-artistic-scientific complex with buildings dedicated to different functions, a whole city. The challenge was to design the new architectural icon of Valencia that would materialize the spirit of the 21st century. 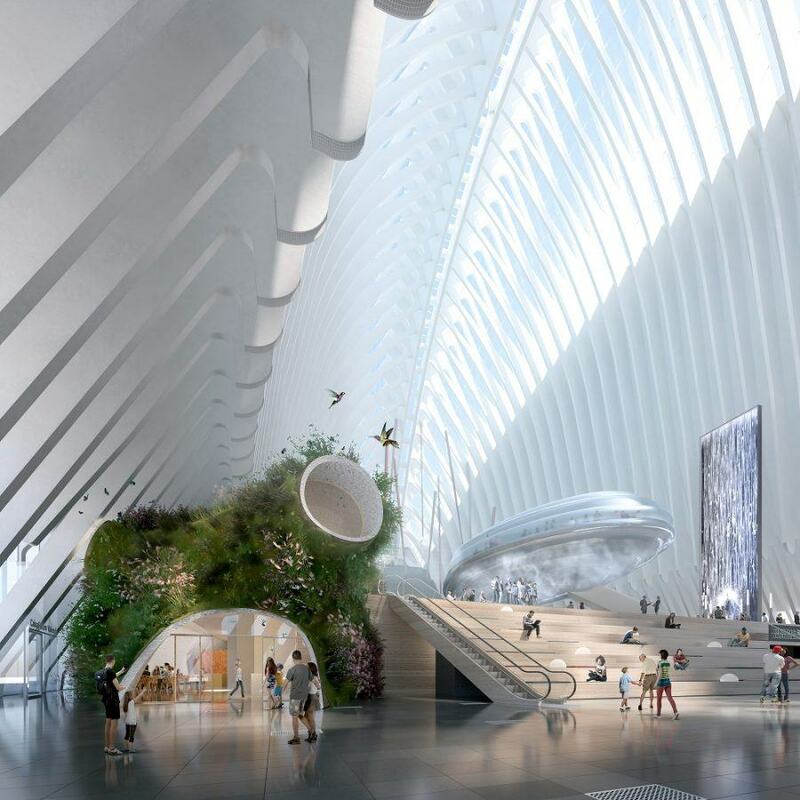 The monumental dimension of Calatrava’s works and its peculiar architectural language leaves no one indifferent. Through his creations he explores the limits between architecture and sculpture. On many occasions, the balance between beauty (venustas) and utility (utilitas) leans toward the former leaving aside the latter, utility being one of the basic principles on which, according to the father of Vitruvio architecture, this art rests. 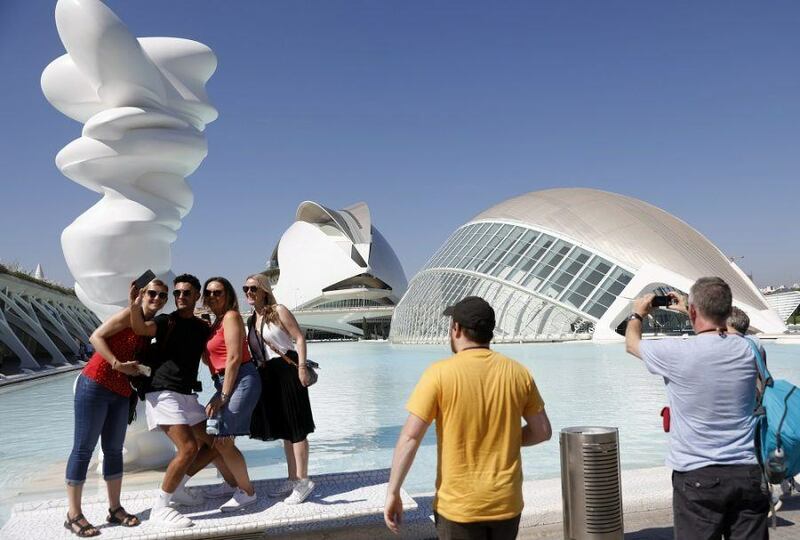 Although the new Valencian government has a smaller budget than the previous one for the City of Arts and Sciences, the quality of its content, the use of public spaces around it and the number of visitors has improved. The last building of this project, Àgora, has finally found a new life with the prestigious Caixaforum cultural foundation that will inaugurate its new headquarters in 2020, once the adaptation work is completed by the Catalan architect Enric Ruiz-Geli. 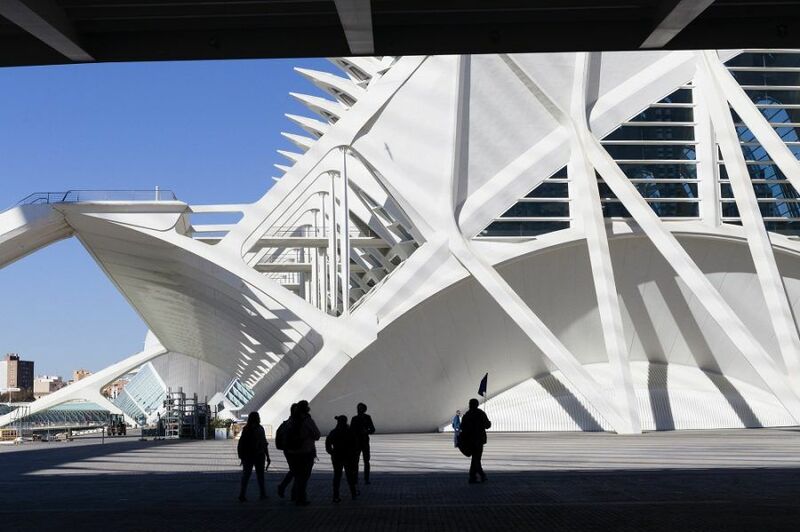 In our architectural tours we analyze the work of Calatrava and the beginning of a challenge: to convert, through innovative uses and contents, a magnificent collection of initially empty monumental sculptures to an attractive place for visitors and also for the inhabitants of Valencia. We will see if the complex designed almost 30 years ago finally manages to live up to its name: to be a city.